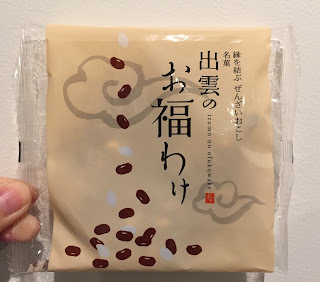 Izumo No Ofukuwake (出雲のお福わけ) is one of the snacks that my mom sent us while we're in Tokyo. Izumo is in Shimane prefecture and probably the most popular spot to visit is Izumo Taisha (出雲大社) that is a grand shrine, and it's known for the god of En-Musubi. En-Musubi (縁結び) is often considered as "marriage tie," but this it's not only meant for love affairs but rather human relationships and connections. The Izumo Taisha is where the 8 millions of gods all over Japan come to in October and they discuss the ties and fates, they say, thus it's referred as the god of ties. In the old calendar, October is called "Kan'naduki (神無月)" that literally means a month without god since they go to the Izumo Taisha, on the other hand, in Izumo area, the month is called "Kamiariduki (神在月)" since all the gods gather at the Izumo Taisha. 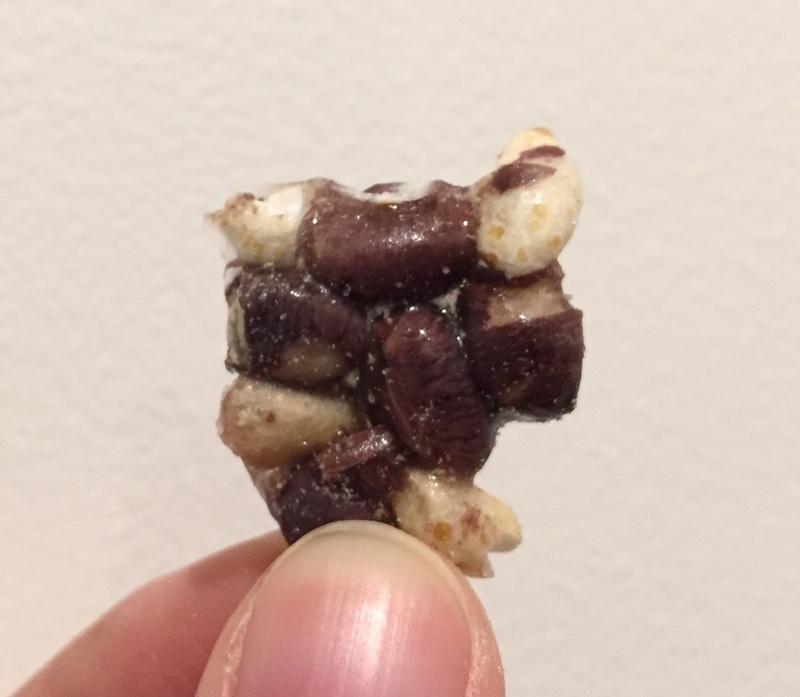 This snack if called "Zenzai Okoshi." Zenzai (ぜんざい) is a sweet red bean jam in a soupy form, often served with mochi (sticky rice cake) or sweetened chestnuts. 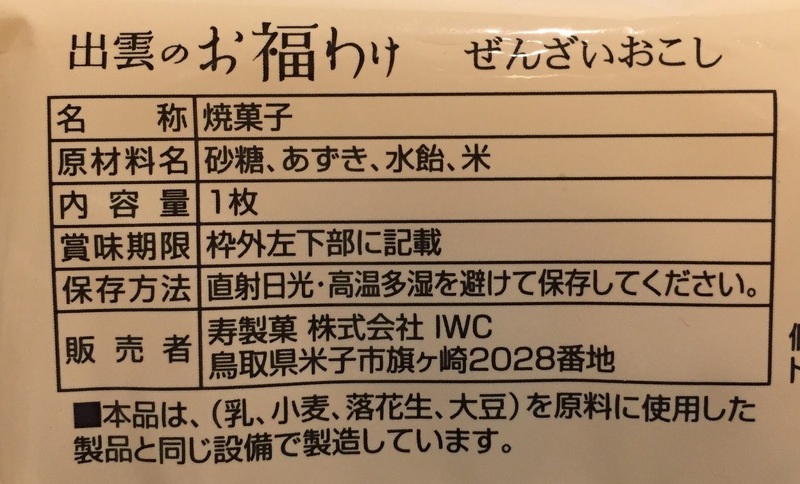 Okoshi (おこし) it's made from rice and foxtail millet that are cooked and steamed, then dried and broke into little pieces, bloated in a kettle, mixed with sugar syrup and shaped. There're so many red beans and the ratio of beans and rice was about 5:1. 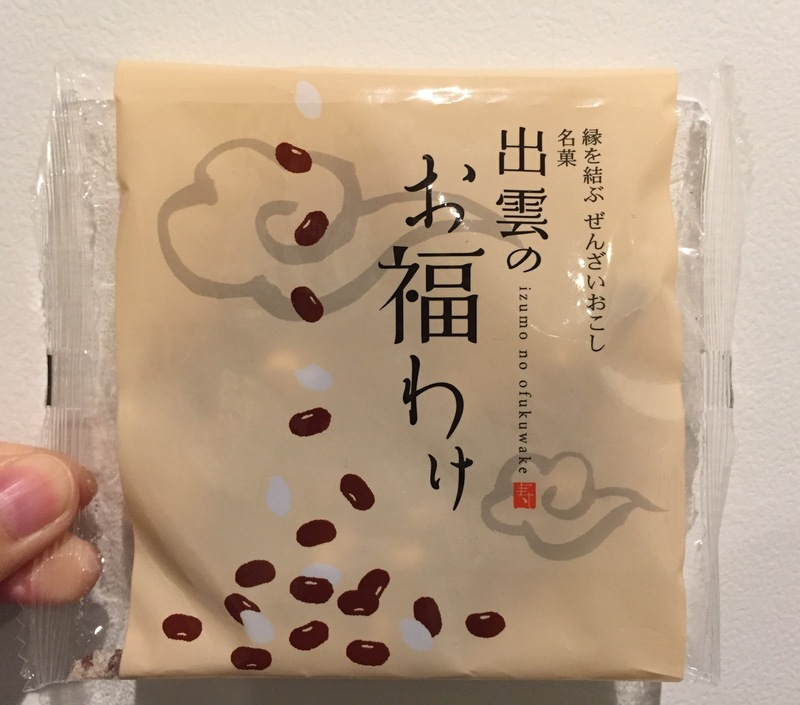 Zenzai Okoshi was very sweet and it's basically "eating crunchy cracker version of red bean jam soup." The rice puffs were light and crispy while red beans were crunchier and had more flavor. Due to the syrup, this snack was stuck on my teeth a lot. 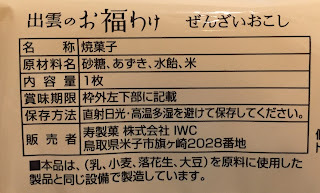 The ingredients were only 4; sugar, azuki bean (red bean), syrup and rice. Thanks for the info. My penfriend gave me some recently after visiting Shimane. I thought they were pretty good and better than the average sweet served with ocha.